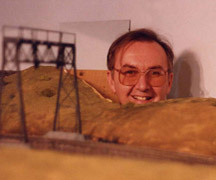 As noted on the home page, I’ve created this website to share news and pictures of my model railway along with information on the Great Northern Railway. For those who might be interested, I’ll share a bit of information about myself. For those of you with a life of your own, now might be an excellent time to move to another page. There is a menu bar at the top should you wish to go elsewhere in this site. 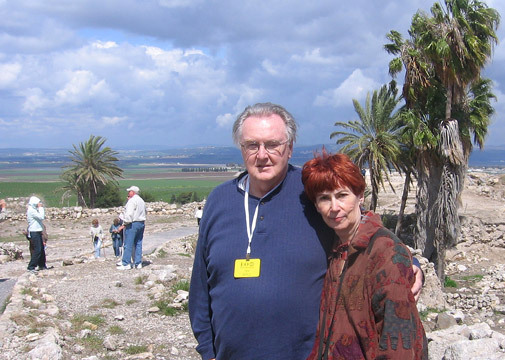 I’m a retired Customs officer living in suburban Houston, Texas with, Helen, my beautiful bride of 44 years. We have two grown sons, one daughter-in-law and of course, one grandpuppy. I was born in Boston and developed an early interest in trains because a doubled tracked branch of the New Haven ran beside our house. Watching steam powered passenger and freights parade beside our yard constitutes some of my oldest and happiest memories. 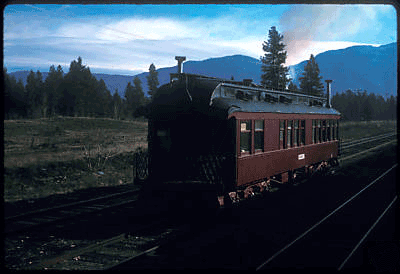 As a young man enamored with rail travel, I rode the overnight trains of the B&M, CNR, CPR D&H, GN, GTW, NP and NYC. In this author’s humble opinion, GN’s trains were always superior to the other lines . My interest in the Great Northern dates back to the 40s and early 50s when, as a boy, I gazed at the timetables displayed at the information kiosk in Boston's South Station. The Great Northern Railway goat herald was always drew my attention. A few years later my uncle 'Duckie' knowing my growing interest in Great Northern, gave me some pictures he had taken on the GN just after the war I decided someday to ride the Great Northern and visit the far a way places served by the GN. In 1961 I was hired by Canadian National Railways for a summer job at Jasper Park Lodge, in the Canadian Rockies.We were living in Montreal at the time and part of the deal was a three day train ride to Jasper. I first saw the GN when I was hitching around Glacier Park. Essex, where at the time there were more trains than tourists, was a place to watch helpers being cut into eastbounds. On one siding was a long string of work equipment some painted gray others a dark red. All were wood and had black roofs. Surprisingly, I did not even notice a hotel, now called the Izzak Walton Inn. The depot was there and as I recall painted two shades of gray. This was before the 1964 flood and the highway through Essex was more primitive but worth it. At East Glacier, I noted a Pennsy and UP sleeper spotted on a siding and no passenger trains in sight. The only thing wrong was I did not have time to stay and wait for the passenger train. The following year before starting at Jasper, I travelled on CN to Vancouver. In 1962, Seattle hosted a World’s Fair and I made a memorable trip south on the mid-day International from Vancouver to attend. This was the second time I saw the GN. Despite the heavy patronage for the Fair, the GN equipment was spotless and the service friendly and courteous. Returning to school as a student at Marquette U. in Milwaukee the following year provided next encounter with the GN. After finishing the summer job at Jasper, I booked a roomette on the Winnipeg Limited in its name sake city and made the overnight journey south. At St. Paul, the following morning, a convenient connection was available with the Milwaukee Road's Morning Hiawatha to Milwaukee. The next contact with the GN came as a complete surprise. In the summer of 1964, I again held a summer job at Jasper Park Lodge. In July, the Lodge’s entire 350 plus rooms were booked for an insurance company convention. The majority of the group was to arrive from Chicago on through special train being routed to Jasper via Winnipeg. I was among the many employees assigned to meet the train and unload the baggage. As the special rounded the curve approaching the station I saw in the tow of two green and black CN road engines a matched set of 15 Great Northern sleepers, diners and lounges. The special carried no coaches or head end cars. It was a sight never seen before or since in The Canadian Rockies. For a long time I could not figure out how the GN could spare that much equipment during the peak tourist season. It was only some years later that I read about the great washout at Glacier Park and the GN’s mainline being closed for several weeks. By 1969, I was finished college, married with a family, and starting a career with the Bureau of Customs at Blaine, Washington. 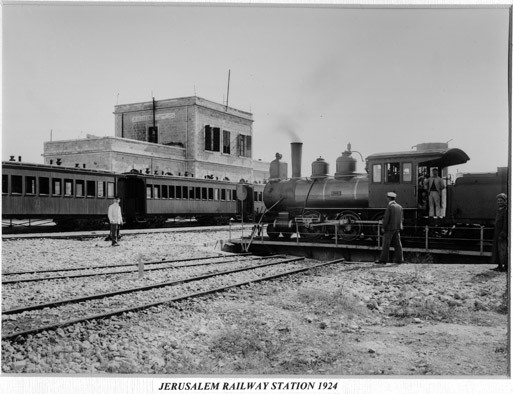 One of the less popular assignments with the Customs Inspectors was working the passenger trains. It ment riding to Vancouverby car, boarding the International, and working the passengers as we rode south to the border. GN paid the Bureau for this service since it meant a brief stop at Blaine rather than a long delay while the entire train was cleared. While my colleagues hated this assignment, I loved it and frequently 'did them a favor' by trading for it. We usually finished our 'work' long before reaching White Rock and sat in the observation lounge to take in the shoreline scenery. By 1969 the Port series observations had been withdrawn and International Limited carried a Mountain series observation, since they no longer used on the transcontinental trains. Even at that late date, GN unlike a lot of railways, kept the equipment clean and in good working order. The Observations rode very smooth and were extremely quiet. After the only scheduled station stop at New Westminster, one would have to look out the window to see if we were moving. There was no noise or motion as we slide out of the station. Amtrak continued to operate the Mountain series for a while. I transferred to Seattle in late 1971 and lost track of equipment on the International. In 1972, I noticed an advertisement for a book on Great Northern Locomotives. A few weeks after my copy of Locomotives of the Empire Builder arrived, I received a friendly letter from the late Charlie Martin inviting me to join a club he was forming called The Fraternal Order of Empire Builders. I soon received my membership card – number 62. Since Charlie Martin decided to start the membership the numbers at forty I was actually the 22nd to join. Given the way the group has turned out, it’s something I’m very proud of today. The only number issued below forty, as I recall, was for the late Norm Keyes, who because of his phenomenal knowledge of the GN was awarded number 39. Personally I thought Norm should have been awarded number one for the assistance he provided members preparing reference sheets on topics in which they had a working knowledge or a keen interest. In the first few years the FOEB was a loose and informal group that was lots of fun. In 1977 I prepared my first article or reference sheet #35, during this period. There seemed to be more emphasis on accurate modeling than history. One member, who I won’t name here, even proposed a secret handshake for the group. All that seemed to end at the 1979 Essex convention; perhaps it was the realities that we had grown and needed a better organization. On display at that convention was the dark side of human nature. I’ll skip the details except to say it was 15 years till I prepared anything else for the organization. At the 1990 Whitefish convention, someone brought a lot of interesting items on the Oriental Limited for display. I bought a GN booklet on the 1924 Oriental Limited at the swap meet that further peaked my interest. That, in turn, led to acquiring a few timetables and finally a trip to the DeGolyer Library at SMU in Dallas for more serious research. The project was spread over several years and was a very enjoyable experience. Harold Hall was the GNRHS coordinator and without his assistance and Peter Thompson’s encouragement, this reference sheet would never have made it to publication. Harold and Peter have since moved on but other GNRHS members are willing to help. After the Oriental article, Harold Hall suggested I might do the first Oriental Limited , that began in 1905. As I got digging, a lot of material came to light, which lead to more digging, etc., and eight more reference sheets have resulted, six published and two more on the way. The GNRHS has since evolved into an outstanding organization and source of information. Anyone interested in the Great Northern Railway should not only join but also contribute. Besides being a dyed in the wool Great Northern fan and an O scale model railroader, we enjoy Houston’s theatre and fine arts scene, and camp in our 17’ trailer that has been to every state and Canadian province, except Hawaii. We also like to take an overseas trip each year. Below are pictures from the last few years that have railroad content. 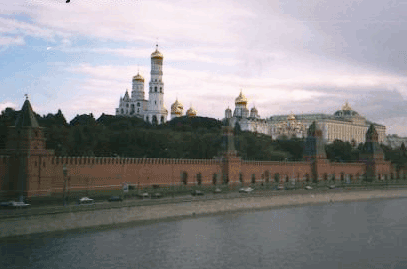 In the Fall of 2009 we took a Russian river cruise between St Petersburg and Moscow. It was a season that the Russian Poet Pushkin called Golden Autumn after the yellow color of the foliage. 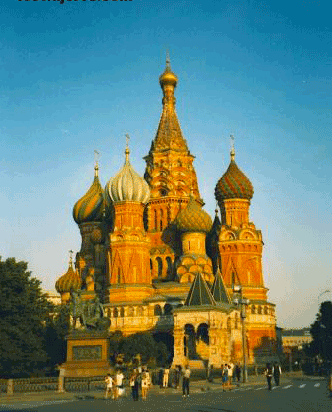 I did go to one of Moscow's five railroad terminals and watched the departure of the Tran-Siberian Express, I can't locate the picture. Unfortunately, we lost the camera's memory card and with it all our pictures for the first part of the trip, including our train ride. Thus it was necessary to lift these publicity shots off thierwebsite. 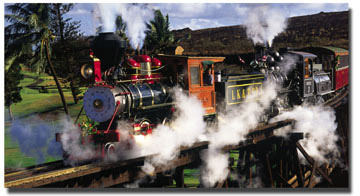 The locomotive was a rebuilt Porter and the second engine in the lower picture was on display at the depot. We were told that this station still existed so we spent a few hours walking around trying to find it. As it turns out it was only recently demolished and the rail line moved a bit further from the center of town . 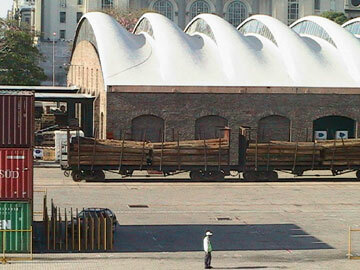 The 2-6-0 locomotive in the picture is a remanent from the Ottoman Empire days. Only seven years earlier, Lawrence of Arabia was blowing up similar engines. 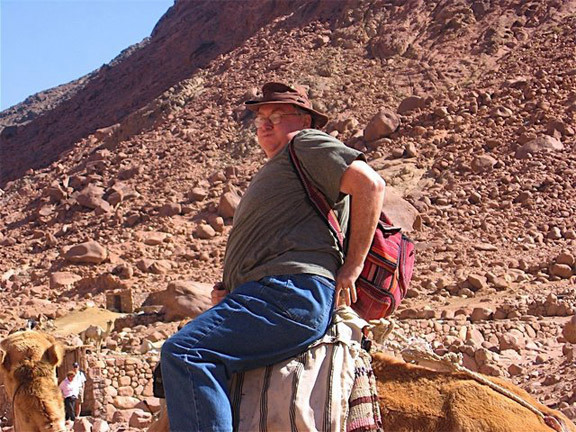 This was my mount for the ride up mount Sinai in Egypt. Words can not express how painful that 'saddle' was. There were two horns, one fore and one aft, and no where enough room for me. You probably have guessed already what part of me got squeezed and crushed - for two hours!!!!!! 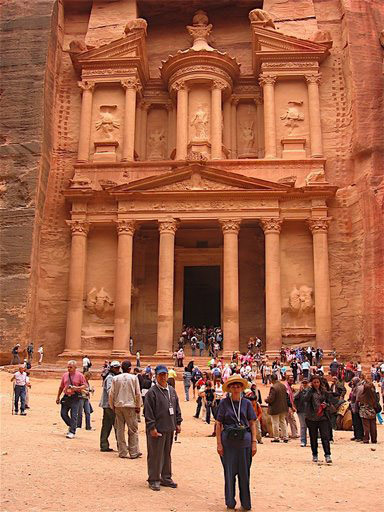 This perhaps the most famous of themany buildings carved out of the rock walls. It dates from about 1500 BC. and lasted till the Romans shut it down in the first Century AD. It was then lost and forgotten until a German re-discovered it in 1836. This explains in part why it survived as well as it has. That's my lovely wife Helen in the straw hat. We traveled to Santiago Chile for a two week cruise around Cape Horn then visiting the Faulklin Isl, Argentina, Uraguay and Brazil. 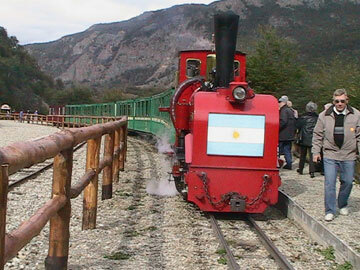 March 2005, Ushuaia, Argentina The narrow gage railway was built by convict labor at the turn of the last century when Ushuaia was an isolated penal colony. 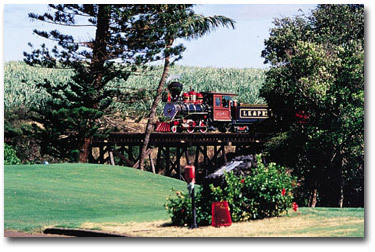 The line currently has several steam engine engines painted in colorful shades of red, green or blue.There is a steep grade at one point on the line and a steam helper was added at the rear to push us up the grade. 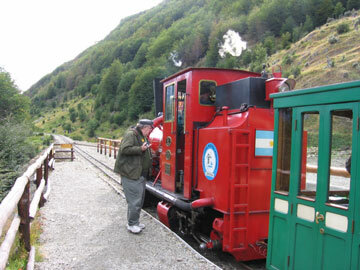 I'm inspecting this colorful narrow gage steam engine used to transport visitors on the several mile trip betweeen Ushuaia and tierra del Fuego national park. These Pictures of truss rod flats were taken from the deck of the 'tramp steamer' we were on. 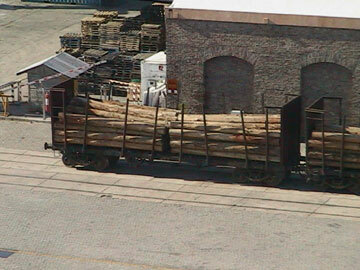 The cargo was export logs. but what I found interesting was the blend of European style buffers and couplers on a north American style flat car. Others on the trip were more interested in 'cultural pursuits' and shopping.